Launched last week is a new iOS only app from FXChartist. At the heart of the product is multi-chart functionality on a single mobile device screen. 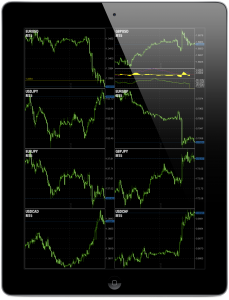 At launch is FXChartist’s first version which is specific for iPhones, but like other iOS apps also works on tablet. In the works and expected to be released soon is an iPad version of the app. Learning more about the product, Forex Magnates spoke with FXChartist founder, Ollie Birch. Similar to many other startups, Birch explained that the product was the result of initially creating a solution for his own issues he faced while trading. Early on in his trading career, Birch related that like many of other users was introduced to the Forex market using MetaTrader 4, but was frustrated with the lack of portability of the product and that mobile platforms from brokers failed to meet his expectations. Birch wanted a mobile platform that wasn’t just a shrunken down version of a trading platform, but one that was customized for small screens. 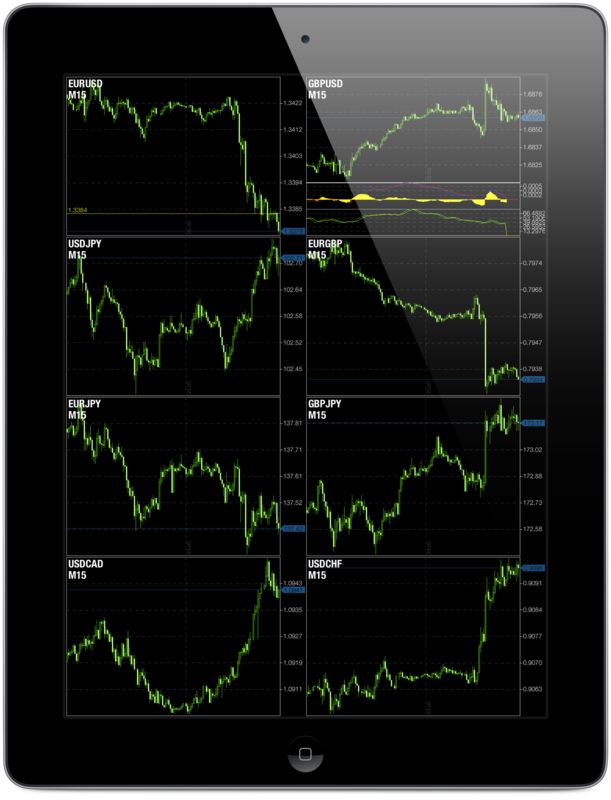 The result were initial versions of what has become FXChartist, allowing for multi-chart viewing on one screen like desktop platforms, but removing all other features such as a quote screen and menu bars. Speaking to other traders, Birch explained to us that he met other individuals with similar frustrations as himself who were interested in his solutions, leading him to develop FXChartist for the masses. The introduction of FXChartist comes at a time when mobile trading has become one of the fastest areas of growth in the industry, with many brokers relating to Forex Magnates that execution on apps accounted for more than 30% of volumes. As a result, for brokers such as CMC Markets, OANDA and Saxo Bank, developing for mobile has become a question of how to optimize products specifically for the app user, fitting their demands on both smartphone and tablet devices. According to Birch, he believed that the even as we become more mobile, the desktop platform will continue to be a major factor for traders, but, “We will have generations of traders managing trades on mobile.” This means “using mobile for execution and risk management.” As such, Birch explained that meeting this need means creating a mobile experience that specifically focuses on providing an easy and visual way to view the markets, as well as providing alerts for risk management functionality. Providing this solution, FXChartist allows for up to eight charts on an iPad, which aims to replace the typical quote grid list, using charts as a visual real-time display of the market. In regards to risk management, Birch explained that in the works are updated versions of the apps. To be included are order entry boxes, to provide trading to brokers integrated with the app. In addition, similar to functions like that of Traido which was featured last year, Birch explained that FXChartist will provide the availability to set alerts for pretty much any price or technical indicator, allowing for real-time notifications when specific trading action takes place. In its initial launch, one of the drawbacks of the product is that it is limited to iOS. Birch explained that this is mainly due to the app being developed natively for iOS, allowing for a better experience for iPhone and iPad users than if it was created using HTML5. Birch explained though, that based on demand, an Android version is in the offing, but initial focus this year will be on expanding features for iOS devices.